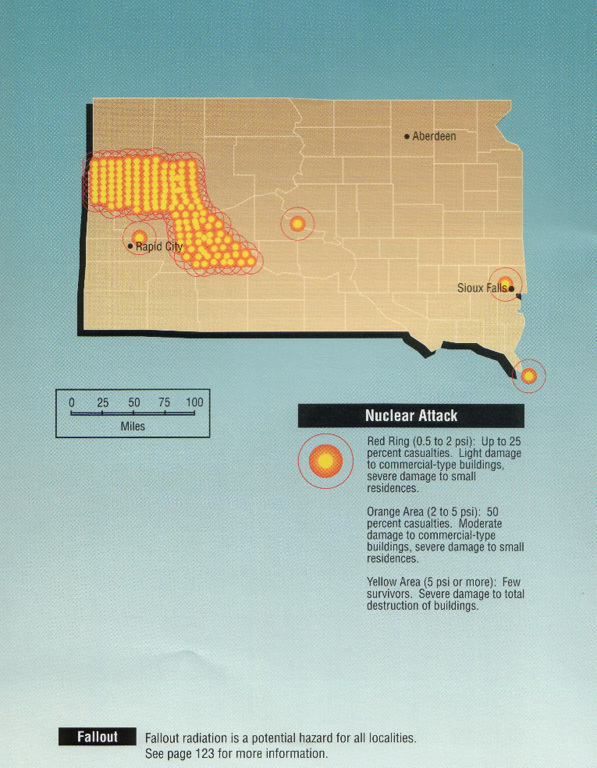 At the bottom of this page is the 1990 FEMA nuclear target map for South Dakota. 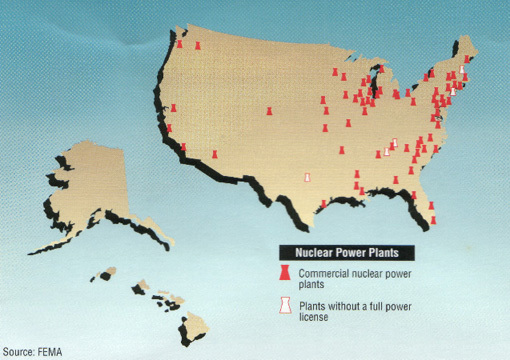 It was just a conceptual map about the nuclear threat. Even an all-out nuclear war - did not by any means mean that every site would be hit. For some states VERY FEW and POSSIBLY / PROBABLY NONE of the sites will be hit but others may have some very significant targets. Because circumstances have changed since 1990 some of the targets in many of the maps should be removed and possibly there are others that should be added.